Aug 21 · Last update 5 mo. ago. Will Brexit destroy Britain's economy? What effects will leaving the EU have on Britain's economy? Following the UK’s referendum to leave the EU in 2016, the economic effects were felt very quickly with a depreciation of the British pound Sterling swiftly following. The negative economic impact of the referendum continued in the following year when the rise of inflation outweighed the growth of wages. 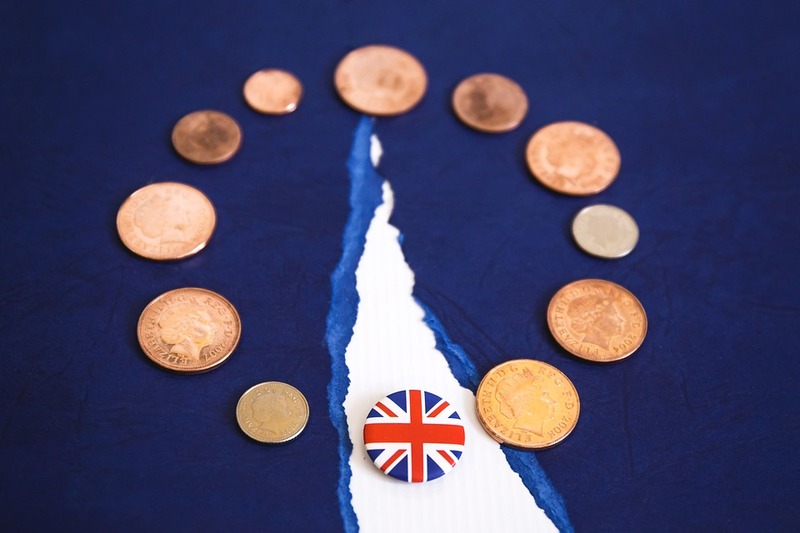 These results are set to continue following Britain's exit from the EU, and the UK’s per capita income has been forecast to decrease in the long and medium term. Economists now share the unified belief that Brexit poses long term economic costs for the UK. Many economists have estimated a cost to the UK anywhere between 1-10% in terms of UK per capita income, and even the government are predicting a 2-8% slow in economic growth. When leaving European Customs Union, Britain looks likely to receive high tariffs placed on 25% of goods, and around 45% of goods remain undecided as a Brexit deal hangs in the balance. However it is not just economically that Britain stands to lose out with Brexit. London has already lost two European agencies and Brexit marks the end of the capital’s dominance in the region, with the European Banking Authority and European Medicines Agency already moving to Amsterdam. The capital also stands to lose out in the international banking industry as Frankfurt seems to be set to inherit a lot of London's financial industry post-Brexit. Global finance chiefs, at the 2016 G20 summit, have also previously stated that the economic effects of Brexit pushes an already at risk global market further into a state of low growth, and the IMF have continually reminded the country of the substantial cost an exit from the EU poses to the economy. Education and research will take a hit as a result of Brexit also, as EU investment and funding have proven crucial for both in the past. Horizon 2020 is the EU’s science support programme that supplies €1.28 billion (£1.15 billion) annually to UK education and research institutions. The UK stands to lose a great investment in science and innovation in the case of leaving the EU without a deal in place, furthermore the country will lose being a part of major European research projects such as the CERN Large Hadron Collider. This in particular will damage long term economic growth in the country, and also indicates that UK residents stand to lose out economically as a result of any type of Brexit deal in both the medium and long term. Following recent complications in Brexit negotiations, with UK parliament being harshly opposed to Theresa May’s Irish border plans, it is looking more certain that a ‘no-deal’ Brexit will make this economic damage even more pronounced. According to a wide range of economists and international institution such as the International Monetary Fund, failed Brexit negotiations could lead to a reduction in the size of the economy, shock to supply, reduced growth, an increased deficit and further depreciation of the currency. As a deal to satiate all sides continues to remain elusive, negative effects have been felt and may only worsen in time. Britain need to stay in the EU single market for goods and services, otherwise the economy would risk being at less of an advantage trade-wise, and the effects of this will be further accelerated economically. The UK should be seeking a soft Brexit to at least maintain a good relationship with the EU, and continue the inflow of a necessary skilled and unskilled European labour force to keep the economy afloat and address any labour shortages. This decision may well deal a powerful blow to the economy, so measures should be taken to minimise the negative economic effects of Brexit. However, Theresa May's chequers deal is currently lacking a good enough trade policy to be accepted by Brussels, and this is undoubtedly the most important part of negotiations for Britain now, in order to minimise economic damage. The main problem is with customs and trade, May's Chequers deal is seen as asking to pursue an independent trade policy while retaining all the benefits of formerly being an EU member. The EU thinks this is unworkable as other nations may pursue a similar exit-with-benefits strategy. May has repeatedly delayed the House of Commons vote for fear of rejection of her exit plan, something that became true as parliament have repeatedly overwhelmingly rejected her plans. Many other policy issues remain vague, with indefinite dates or even unaddressed completely as the government continue to discuss the destabilising potential of a re-vote, the possibility of revoking article 50 and the grave danger of not making a deal. It is now urgently important the a "plan B" goes to vote soon, as the longer she holds out the less time there will be to make a deal and the more likely a economically catastrophic “no-deal” Brexit looks. Regardless of immigration, or how hard or soft a Brexit May pursues, what Britain stands to lose is the access to a good trade relationship with its closest geographical neighbours, and some of the largest markets in the world, so some deal is at least better than none. But as the governments indecision makes the reality of a no-deal Brexit seem ever more present the implications of such an exit from the EU, considering the large amount of world financial services based in London, could have big repercussions for markets worldwide. However the short term economic predictions were wrong and with the right move swiftly made before the 29th March deadline, maybe the long term economic impact could be turned around too. Dealing with repercussions and preparing a solid plan for the future should be the British government’s main aim as the deadline draws nearer, as opposed to considering extending article 50 to extend the deadline. There are inescapable economic problems the UK faces that go further to address, along with its ties to the EU, that the country will have to face up to and should do so during planning a Brexit stratergy. How to address the growing signs of a labour shortage in the country and to not make it worse, as indeed many countries with an ageing population and strict immigration policies have for example Japan, the country needs a solid plan to replace the free movement of people inside the EU. Therefore dealing with repercussions by planning for an orderly well planned exit should be on all MP’s minds moving forward, especially considering the International Monetary Fund’s prediction that “Britains economy [could] grow by 1.5% IF a broad Brexit agreement is struck” . The main factor behind the vote to leave the EU was immigration, with 48% of Britons claiming it to be the most important issue facing Britain at the time of the referendum (according to an Ipsos poll). A hard Brexit will allow the UK to actually put into place the kind of legislation the people of the UK voted for, as many voters also claimed British sovereignty and control of policy-making as the most important reason for Brexit (Lord Ashcroft poll). During negotiations, and especially as an agreement remains elusive despite the deadline being so near, the main reasons for Britain exiting the EU should not be forgotten and the Brexit deal should reflect this. As for the economy, the UK would still be a member of the World Trade Organisation establishing fair import tariffs internationally. Economics professor Patrick Minford remains optimistic over the potential positive impact Brexit may have on the British economy. Minford has argued that even being completely free from an EU trade agreement, in the case of a no-deal Brexit, the British economy would be free to minimise tariffs, embrace free market principles and cause a reduction in prices for the average British consumer. Furthermore the UK could possibly establish its own immigration policy, going back to older agreements with states from the Commonwealth of Nations or forging new mutual advantageous relationships. If there is a post-Brexit drop in the labour force in the country, the UK would be free to pick and choose the skilled labour it required from a wider pool of global applicants. Likewise Britain would be free to make its own trade agreements internationally, and considering the short term economic analysis was wrong, being far too pessimistic, it could be equally as likely that this may be the case for long term economic predictions also. The fact that Britain has not made a deal with Brussels indicates that the EU are not open to a positive win-win situation here, and considering the deadline is looming and MP's have overwhelming voted against May's plan, maybe it's time to consider the possible bright side of a "no-deal" exit. One reason for the EU's issues with May's plan has been concerns over a 'level playing field' as BBC Political Editor Laura Kuenssberg explains - "the EU is keen that the UK doesn't somehow depart wildly from the rest of the continent in ways that gives it enormous competitive advantages." It is clear then that even the EU have considered that there are bold policies that the UK would be able to pursue in the case of a "no-deal" Brexit, for example lowering tax to attract foreign investments and potentially attracting more new business than are lost to Europe. UK Defence Secretary Gavin Williamson is one such voice in parliament, suggesting in February 2019 that post-Brexit the UK would be free to establish new military bases in the Caribbean and the Far East, extending its influence in the world. He also said he expected Britain to become more reliant on relationships with countries like Australia, Canada, New Zealand, and Nations in the Caribbean and Africa in coming years. Former Foreign Secretary Boris Johnson has also suggested the government prepare for a ‘no-deal’ Brexit and a possible alignment with World Trade Organisation terms, claiming even leaving the EU without a deal would not be as bad as some people suggest and closer to what people voted for.